How adorable are these?! This vintage porcelain ornament set is full of charm and whimsy. Set is made of white porcelain with blue accents and “Home Sweet Home” and consists of: watering can, kettle, pitcher, milk can, and pail. Perfectly sweet and ready to help you celebrate your holidays with a farmhouse touch. In addition, this set makes a fantastic gift for the Christmas season. 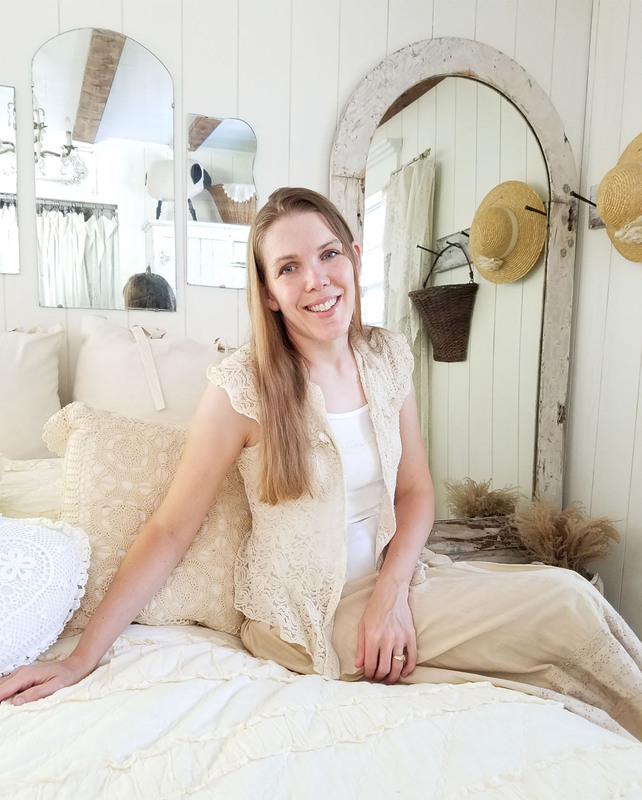 Perfect for your cottage style, farmhouse, rustic chic, primitive, vintage, or eclectic decor. Celebrate the wonderful holiday season with this Christmas advent calendar. Handmade from an upcycled cupboard door with vintage style design. Features 24 daily tags with ways to bless family, friends, and neighbors. It makes for a wonderful addition to your holiday farmhouse, traditional, cottage chic, or rustic holiday décor. You can also purchase the other Christmas decor HERE. Celebrate the wonderful holiday with a touch of farmhouse. These embossed holiday metal Christmas wall pockets have been attached to a piece of reclaimed cedar for function and fun. Red ticking stripe bows, with bin pulls labels make it a whimsical piece you can enjoy for years to come. Makes for a wonderful addition to your holiday farmhouse, primitive, cottage chic, industrial, or rustic holiday décor. You can also purchase the other Christmas decor HERE. Celebrate the wonderful Christmas holiday with a touch of farmhouse. 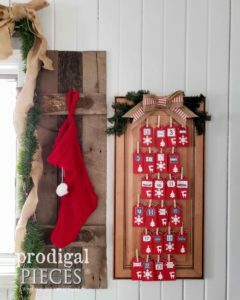 These embroidered burlap Christmas stockings have a super soft fleece lining and are large enough to fit a generous amount of gifts. Set of 4 have been embroidered onto gray ticking fabric and embellished with a red polka dot grosgrain ribbon. They will make a wonderful addition to your holiday farmhouse, primitive, cottage chic, industrial, or rustic holiday décor. You can also purchase the other Christmas decor HERE. Dimensions of embroidered burlap Christmas stockings: 9″ cuff x 21″ long from cuff to toe.